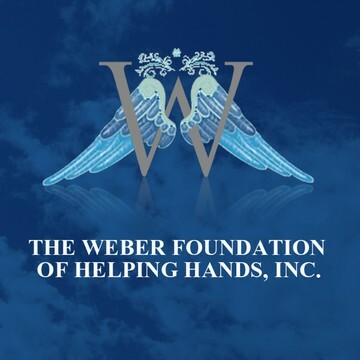 Elizabeth Weber has devoted her time, energy, and heart to “The Weber Foundation of Helping Hands, Inc.” since she founded the charitable organization in October 2000. Her goal has always been to help individuals and families in dire need due to life-threatening illnesses or other catastrophic situations. It is Elizabeth’s vision to be able to help as many people as possible and not limit the Foundation to a particular cause or illness. In 1992, while serving as Contract Administrator for the City of Boston Law Department, Elizabeth found a powerful home-based business. She became an Independent UnFranchise® Owner with Market America, Inc. and successfully built her business to where she is earning an ongoing income in excess of one million dollars per year while helping many others achieve their own financial success. With her new prosperity, Elizabeth’s passion for helping people in need who cannot help themselves became a reality. In 1996, Elizabeth co-founded “The Bike for Life” with Sandy LaVersa, a fundraiser that helped raise over $40,000 in two years for the American Cancer Society and the Children’s Wish Foundation. As wonderful as these charities are Elizabeth wanted to be more personally involved with the beneficiaries of the money. Rather than simply writing checks to various charitable organizations, Elizabeth wanted to put a face and a smile to every grant bestowed. In September 2000, Elizabeth learned about Robby Sorrentino, a beautiful little boy who was suffering from leukemia. Robby’s story so touched Elizabeth’s heart that she launched The Weber Foundation of Helping Hands, Inc. sooner than planned. She had a fundraiser at her home and all the money went to help Robby. That was the genesis of the Foundation, which was officially dedicated on October 4, 2000. Thanks to your “helping hands”, The Weber Foundation, as of January 2018, has been able to make a difference in the lives of 409 individuals and families by giving out over $900,000 in grants. In addition, in order to maximize the grants given, all administrative costs are gifted or paid for by Elizabeth herself thus allowing 100% of monies donated to go back to those in need.